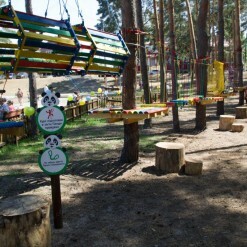 The name of the children’s rope park says about the admission of children to the basics of beautiful sport and active recreation. 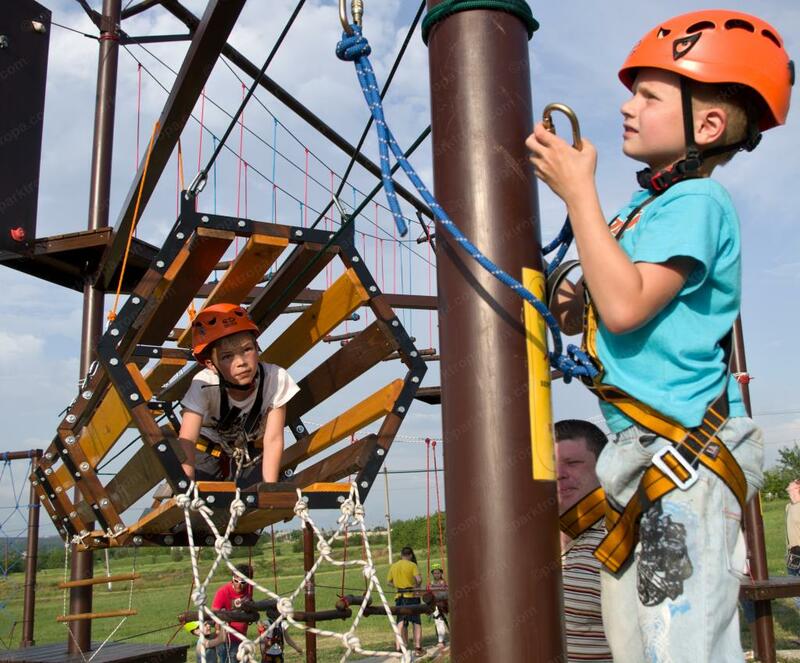 Where else so easy and accessibly a child can get skills of a climbing belay system and learn the rules of the work with safety equipment under the guidance of an experienced instructor! 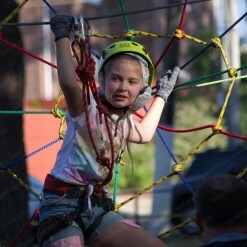 This is the main difference between the children’s rope park “Young alpinist” from the children’s rope park “CLIMBING FRAME”. 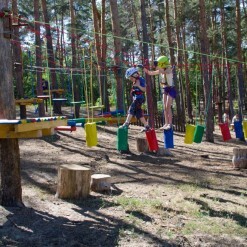 Here the child passes rope competitions at low altitude using belay system. 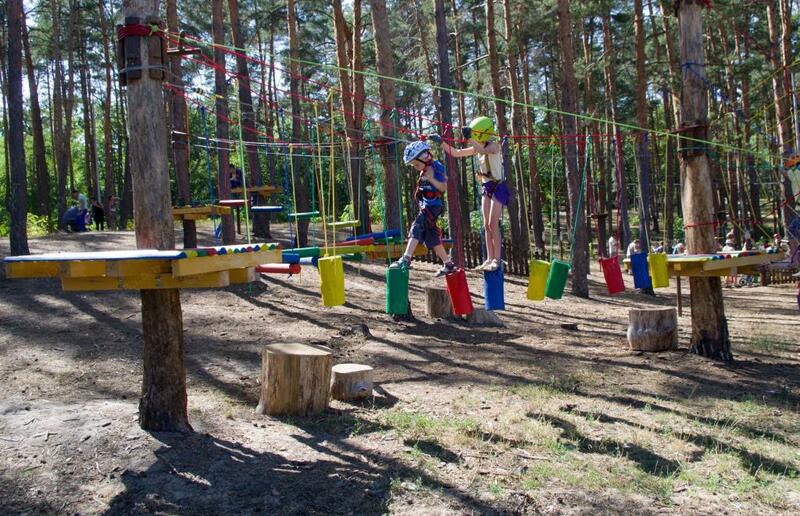 We recommend to raise this ropes course not more than one or one and a half meters from the ground. That’s enough to give a child a sense of height. 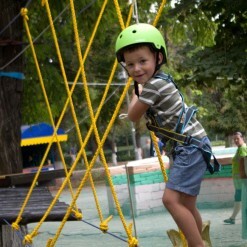 And most importantly that it enables parents to be with the child next to the route. Parents suggest and help children to overcome the rope competitions. 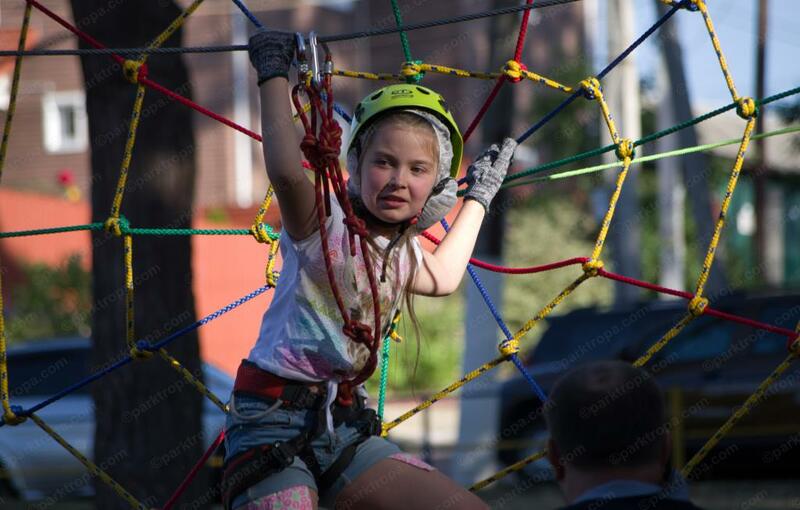 The precious photo is placed into the family album with memorable and heartwarming success of the child, dressed in a real climbing system and holding in the hands the real safety carbine. Picking up the park, we can unwittingly deprive children of priceless parental care. 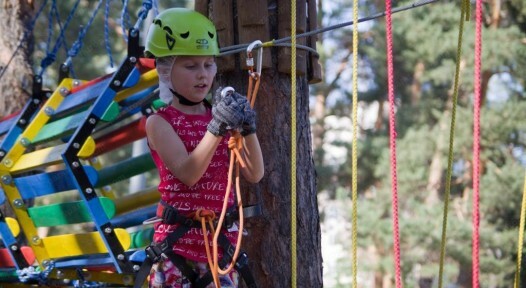 For greater reliability and security here can be selected continuous belay system. 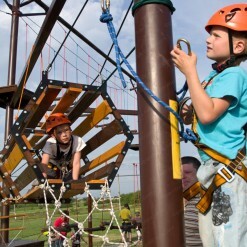 For more child development and learning sports skills, we recommend the belay system through carbines, proven years of experience in the most extreme situations, when making alpine ascents. The gist of this system is in connecting of two belay points to tether through two independent carbines. 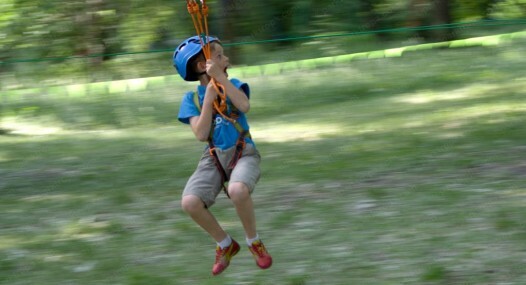 The child learns to work with the belay system consciously, at a low altitude, gaining experience and knowledge of climbing techniques. 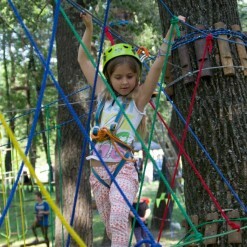 It is more interesting for children like this! 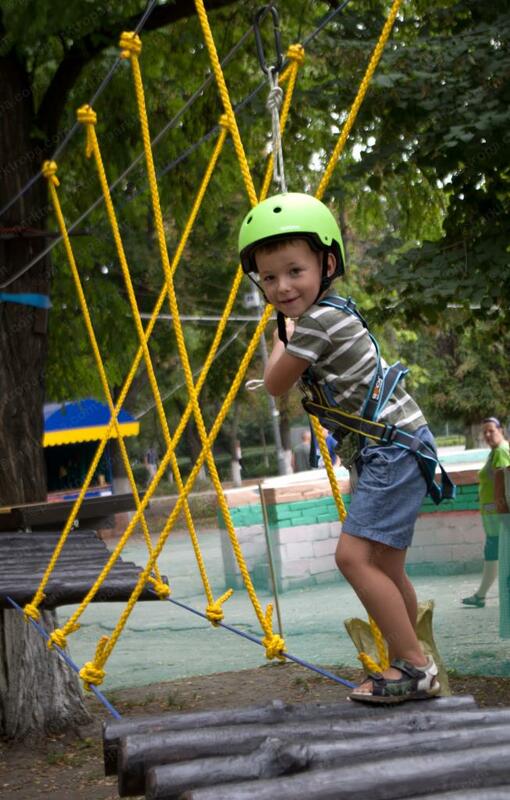 In the course of an exciting sports game in the spirit of the competition the child acquires new skills and self-confidence. Properly snap safety snap hook, drill it down, open and close the latch are the exercise of fine motor hands, requires some efforts. 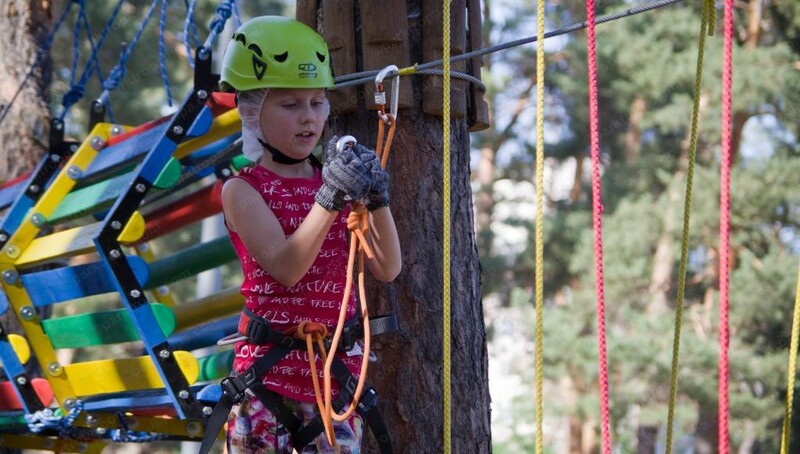 Therefore, children’s rope park “Young alpinist” is recommended for the sports development of children from 4 years. Child, first being at the heights, studies equilibrium. And overcomes the natural fear of children, developing new physical laws of motion in space: not only forward – backward, but also up – down. And with pleasure goes down “with the wind” in a tight oblique crossing, trolley. 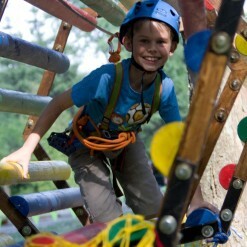 “Young alpinist” is the most popular children’s rope park. 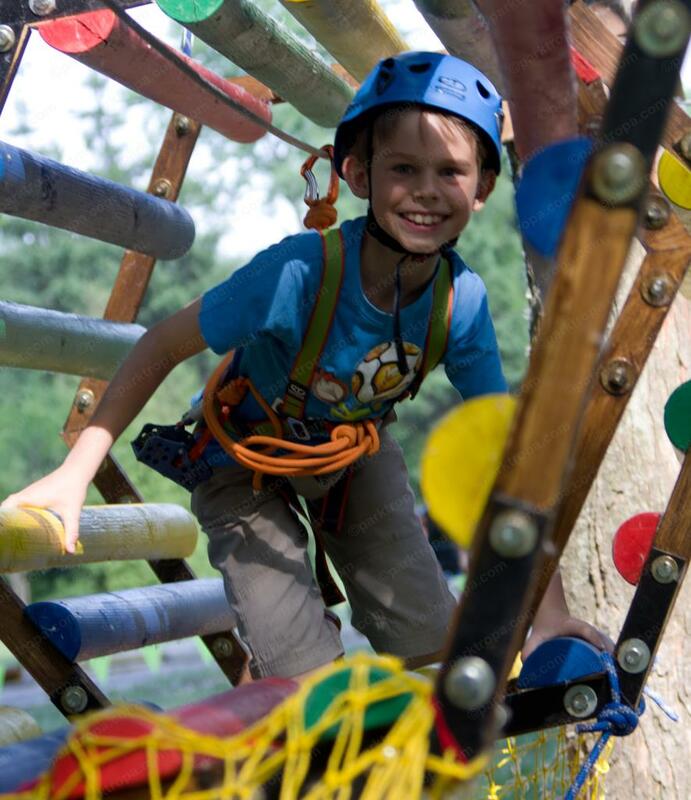 “Young alpinist” is one of the best children’s sports attractions, ideal for commercial use. 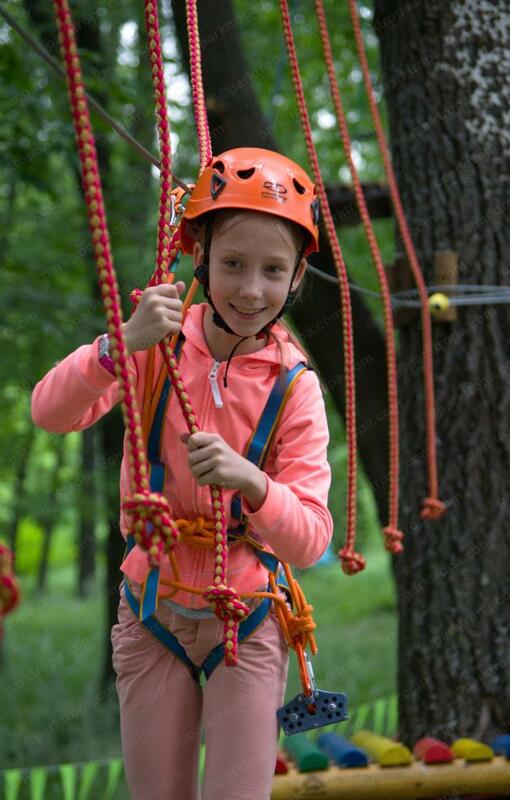 Setting of “Young alpinist” in the park of culture and recreation, in an amusement park or children’s entertainment center will not only please the children a new kind of useful entertainment, but also rapidly recoup the cost. 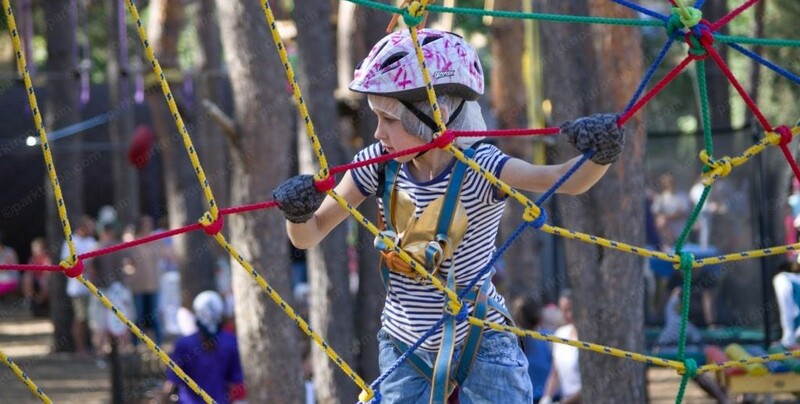 Possible mounts on the trees or on small artificial supports allow using the ropes course “Young alpinist” practically everywhere, both outdoors and indoors. 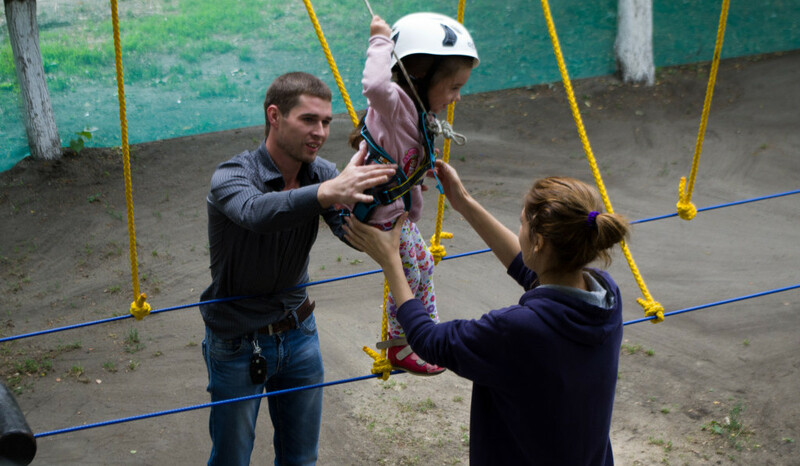 Properly organized climbing belay system and certified protective equipment from “TROPA” LLC guarantee the security passing of rope routes. 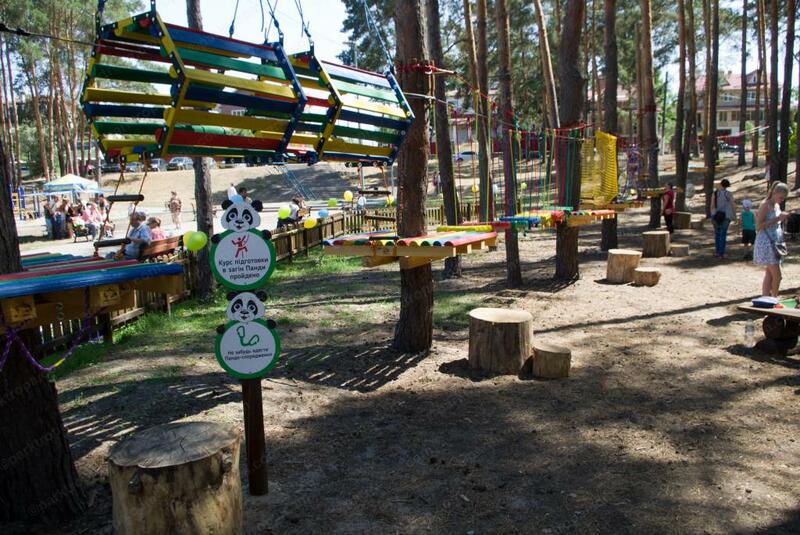 Order construction of children’s rope park at us! 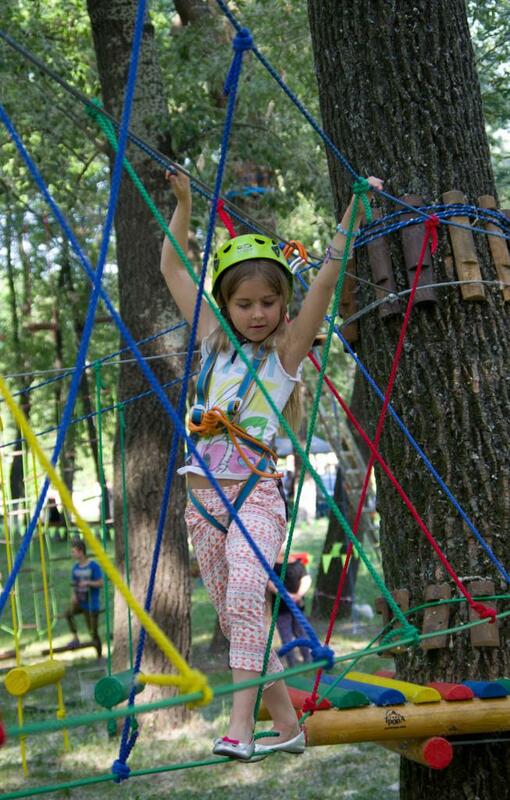 Give your kids children’s ropes course together with us!